We've talked about how there were look-alike house plans offered by the kit home manufacturers, plan book companies, and local builders. As an example, I present a Sears Lewiston imposter in Arlington Heights. 735 N. Hickory, Arlington Heights. Sears Lewiston. If you check your neighborhood, you might find a look-alike house. The Lewiston had many imposters. Awfully similar, huh? The homeowner believes the house is a Sears Lewiston, but he was unable to find any markings or other evidence that prove it. I believe the reason he could not find any evidence is because the house is not a Lewiston. 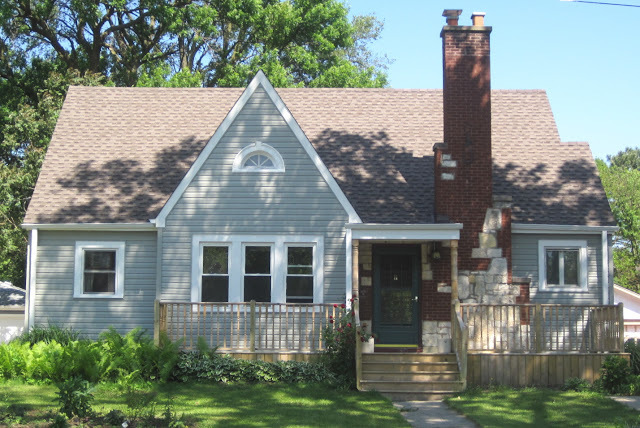 The giveaway that this house is an imposter is the front dormer. 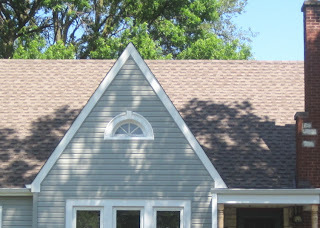 The dormer on the house on Hickory is too short. The dormer on the Lewiston almost reaches the top of the roof. Additionally, the right side of the Lewiston was not flush with the rest of the structure like the right side of this house is. The house on Hickory was built in 1932 or early 1933. Clarence Wilcox and his wife Josephine were the original homeowners and are listed in the July 1933 telephone directory at that address. Just for comparison, here is a legit Sears Lewiston in Des Plaines. 1483 Maple, Des Plaines. Check out the right side of the house--not flush. Real Lewiston versus imposter. See the difference? The real Lewiston was built by Oscar Blume for his own family. The address changed over the years. Originally it was 1465 Maple. 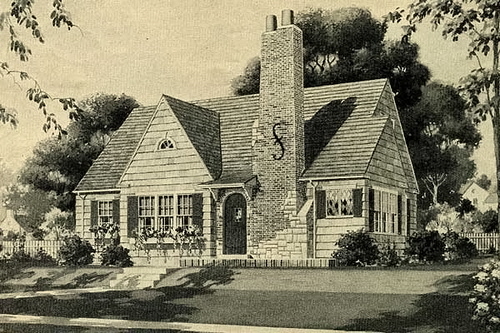 I agree, that house is not a Sears Lewsiton and I can vouch that there are SEVERAL look alikes out there. Almost every catalog company had their version as well as several of the plan book companies. That house is likely from a plan/pattern book. I can show your homeowner severls examples that Rachel helped me identify in my hometown of Hopewell Va. There are at least 5 within a few blocks of each other in and near the Crescent Hills neighborhood in Hopewell. The same nieghborhood that boast a large collection of Sears homes. I hope they aren't counting these.